As the summer months approach, it’s time to stock up on sunscreen to protect our skin from the sizzling summer sun. While trying to protect your skin from UV radiation, you could unknowingly be putting your skin at more risk by using a product with toxic ingredients. These ingredients include Oxybenzone, Retinyl Palmitate (Synthetic Vitamin A Palmitate), parabens, phthalates and fragrances including synthetic musks. You should also avoid sunscreen sprays and powders as these release toxic particles into the air that can be breathed in, causing unknown health effects or lung irritation. Sunscreen towelettes should also be avoided because they do not give sufficient protection from UV radiation. High SPF sunscreens (50+) are also something to take into consideration as higher SPFs encourage people to stay in the sun longer, thinking the higher number gives them security. In reality, higher SPFs give the same amount of protection as SPF 30. Let’s really take a look at UV radiation to better understand our protection from it. Ultraviolet (UV) light is an invisible component of sunlight that not only damages our skin, but also our eyes and our immune system. There are 3 types of UV light, (A, B and C) that are classified based on their wavelength. UVA penetrates the skin more deeply than UVB and damages skin cells which can cause development of skin cancer later on. UVB is not quite as harsh as UVA, but contributes to reddening of the skin, sunburn, wrinkling, and can sometimes play a part in skin cancer. Putting UVA and UVB together will wreak havoc on your skin, causing synergistic damage. Apart from your skin, UV light can also damage your DNA. This results in wrinkling, premature skin aging, and skin cancer. Our body does have a natural way of protecting itself from UV light. It produces a pigment called, “melanin”, but we know it better as having a “tan”. In humans, melanin is the primary determinant of skin color. Some people have very little or no melanin synthesis in their bodies leading to a condition known as albinism. People with albinism can burn very easily from UV exposure and must take even greater precautions. 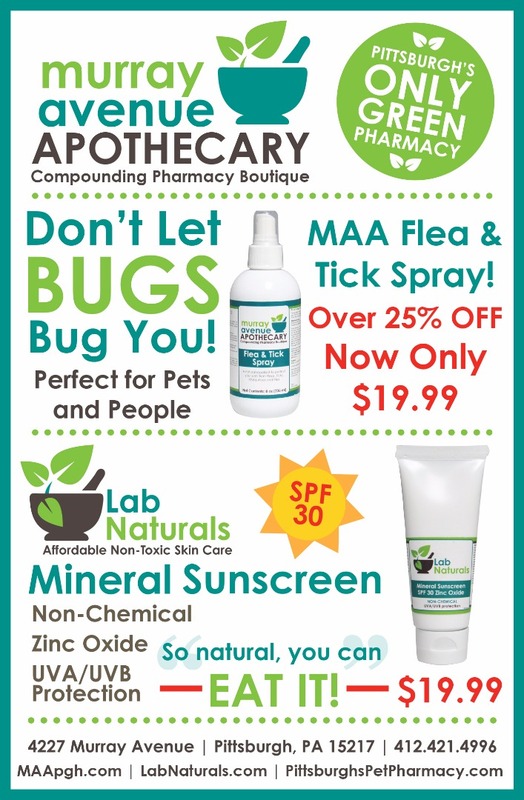 At Murray Avenue Apothecary, we are proud to offer our LabNaturals Mineral Sunscreen. It is SPF 30 Zinc Oxide with UVA/UVB protection and does not contain any TOXIC ingredients. Our sunscreen is good for humans, the environment, and animals. The FDA approved sunscreen agent in this product is the non-nano zinc oxide. However, every ingredient used in this formulation is considered a sunscreen. If you want heavy protection, leave this lotion thicker and whiter on your skin. If you don't want the white, simply smooth it into the skin for UVA and UVB protection. Remember to apply plenty prior to going outside and reapply frequently after being in the water or sweating. Use this in addition to our LabNaturals Daytime Firming Peptide Lotion, Antioxidant Repair Treatment, and Vitamin C 20% Skin Serum to repair sun damaged skin, reverse signs of aging, and lengthen telomeres. UV light is not all bad – It helps the body produce Vitamin D. Sunscreen, despite it being imperative for skin protection, lowers the vitamin D levels that we need for our body. In this case, taking a vitamin D3 supplement is essential while using sunscreen. Murray Avenue Apothecary has many Vitamin D3 supplements (1, 2, 3) that can help see you through these summer months, and all year round. Vitamin D3 supplements (1, 2, 3) are equally important in those long winter months when the sun seems to disappear. Typical dosing is 45 IU per pound of body weight according to the Vitamin D Council. Here is a list of signs and symptoms of vitamin D deficiency. If any of the following applies to you, you should get your vitamin D levels tested sooner rather than later. You Have Darker Skin – African Americans are at greater risk of vitamin D deficiency because people with dark skin may need as much as 10 times more sun exposure to produce the same amount of vitamin D as a pale skinned person. You Feel “Blue” - Serotonin, the brain hormone associated with mood elevation, rises with exposure to bright light and falls with decreased sun exposure. You’re 50 or Older - As you get older your skin doesn't make as much vitamin D in response to sun exposure. At the same time, your kidneys become less efficient at converting vitamin D into the form used by your body. Older adults also tend to spend more time indoors. You’re Overweight or Obese – Vitamin D is a fat-soluble, hormone-like vitamin, which means body fat acts as a “sink” by collecting it. If you’re overweight or obese, you’re therefore likely going to need more vitamin D than a slimmer person. You Have Gut Trouble - Vitamin D is a fat-soluble vitamin, which means if you have a gastrointestinal condition that affects your ability to absorb fat, you may have lower absorption of fat-soluble vitamins like vitamin D as well. This includes gut conditions like Crohn's, celiac and non-celiac gluten sensitivity, and inflammatory bowel disease. While these signs and symptoms are useful clues the only way to know for sure if you’re vitamin D deficient is via blood testing. Thankfully at Murray Avenue Apothecary we offer a fantastic in-home Vitamin D Blood Spot Test. Besides Vitamin D, it is important to be sufficient in other vitamins, minerals and supplements during these summer months. Antioxidants are an effective tool for mitigating UV radiation damage to the skin as well as vitamins C and E, which have UV radiation protective effects. In recent studies, supplementation with vitamins C and E was shown to significantly reduce the levels of free radicals inside of cells that had previously been exposed to UVB radiation. Hyaluronic Acid is another useful tool in protecting and rejuvenating sun-damaged skin. It also has anti-aging effects, by reducing the appearance of wrinkles which can be caused by UV radiation. You can mix Vitamin C 20% Serum in your palm with our Hyaluronic Acid for an extra moisturizing and protective treatment of aging or sun damaged skin. In addition to topical solutions and vitamins, Green Tea and Grape Seed are also helpful in protecting the skin. Green tea polyphenols protect cells by blocking UVB-induced free radicals and UVB-induced damage to the cells. One of the polyphenols, epigallocatechin-3-gallate (EGCG), prevents UVB-induced skin damage by inducing certain proteins that regulate immunity and DNA repair. Grape seed is a botanical that protects against UV damage. In animal studies, supplementation with grape seed proanthocyanidins (GSPs) decreased UVB-induced damage. We offer both Green Tea Extract and Grape Seed Extract here at the Apothecary. The most important factor in UV protection is education. Knowing where and how UV radiation affects the body will only aid you further in protection. UV radiation goes so much deeper than just the skin, and there are a number of ways to protect yourself besides standard sunscreen. 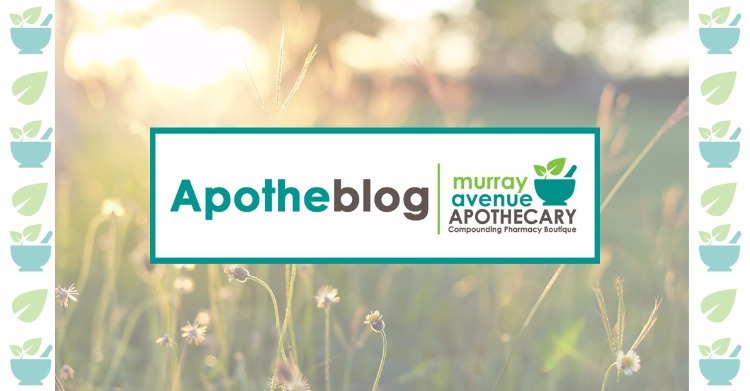 So, when you go out shopping for your sunscreen, make sure supplements and vitamins are on your list, and remember Murray Avenue Apothecary has it all in one place! We’ll help you with all your summer protection needs for you, your family, and your pets. Get educated, be proactive, and stay healthy this summer! 1) Barker, Jason E., ND. "UV Radiation: Protection from the Damaging Effects of Sunlight." Vitamin Research News 1 June 2010: 6-7. Print. 2) Mercola, Dr. Joseph. "Some of the Most Toxic Sunscreens and Safer Options." Mercola.com. 4 June 2014. Web. 18 May 2015. 3) Mercola, Dr. Joseph. "7 Signs you May Have A Vitamin D Deficiency." Mercola.com. 28 May 2014. Web. 20 March 2016.